ORIGINAL BUFF® is a multi-functional tubular accessory ideal for many activities. Designed to keep you warm in the cold, Original BUFF® will also wick moisture (sweat) away from your skin to keep you cool when it is hot. The lightweight, breathable, microfibre fabric is extremely comfortable to wear. 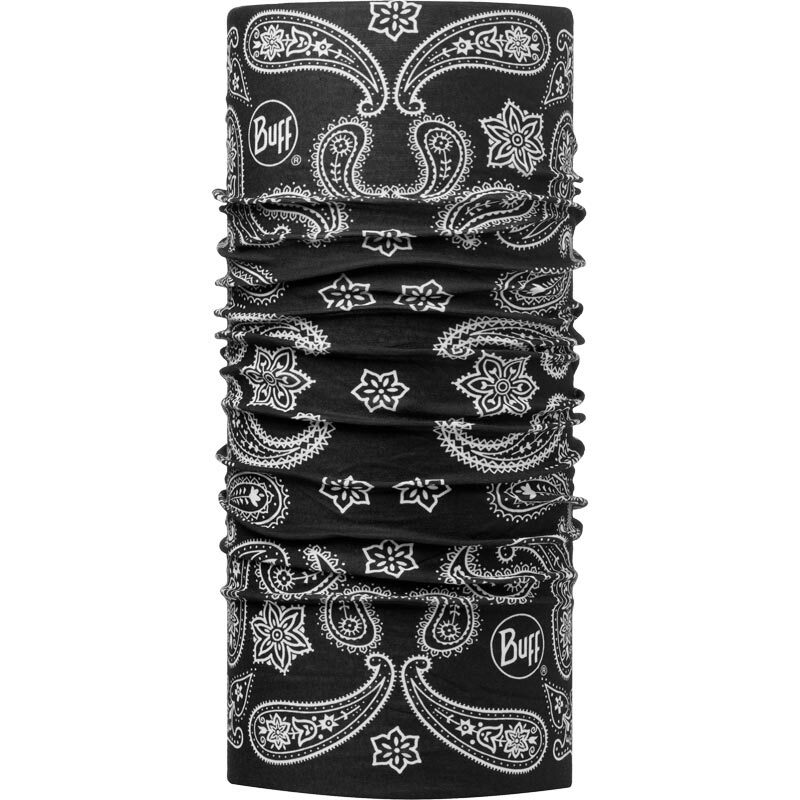 ORIGINAL BUFF® can be worn as a neckerchief, headband, wristband, mask, hair-band, balaclava, scarf, headband, scrunchie, saharaine, pirate cap, beanie and bandana. Made with 100% Polyester Microfibre. Weights: 35g/1.2oz and measures 53cm length x 24.5cm width adults, but if you require something smaller, try Womens Slim Fit, Junior/Child (4–12 yrs) Baby (3 yrs and under). There are no irritating seams or hems. Treated with Polygiene your BUFF headwear will remain fresh as the silver ions prevent the build up of bacteria in the fabric.